FREE SHIPPING Avon heart brooch, Birthstone Ribbon Bow, Heart Gold Tone, Faux emerald pin, May birthstone heart with bow. 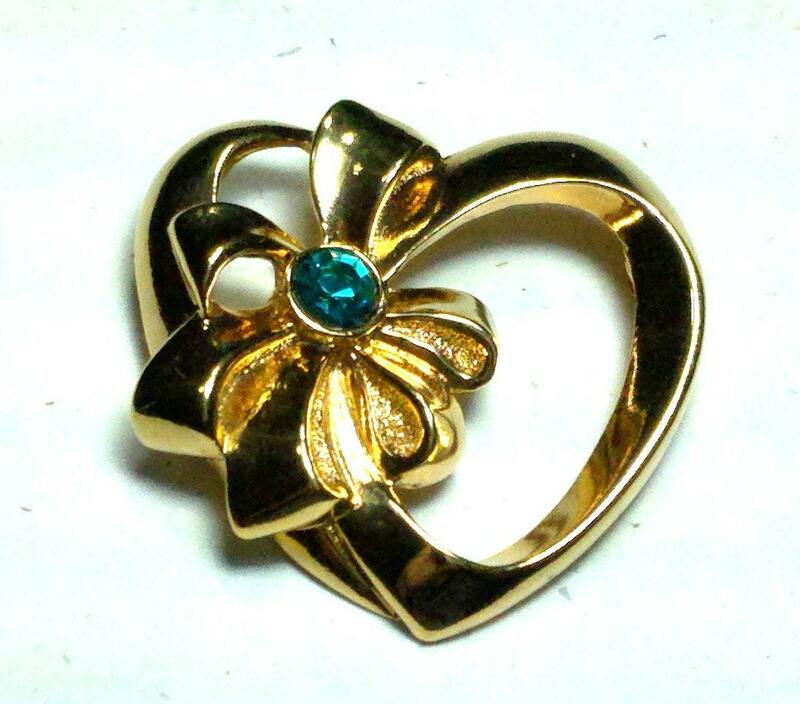 Avon heart brooch, Birthstone Ribbon Bow, Heart Gold Tone, Faux emerald pin, May birthstone heart with bow. 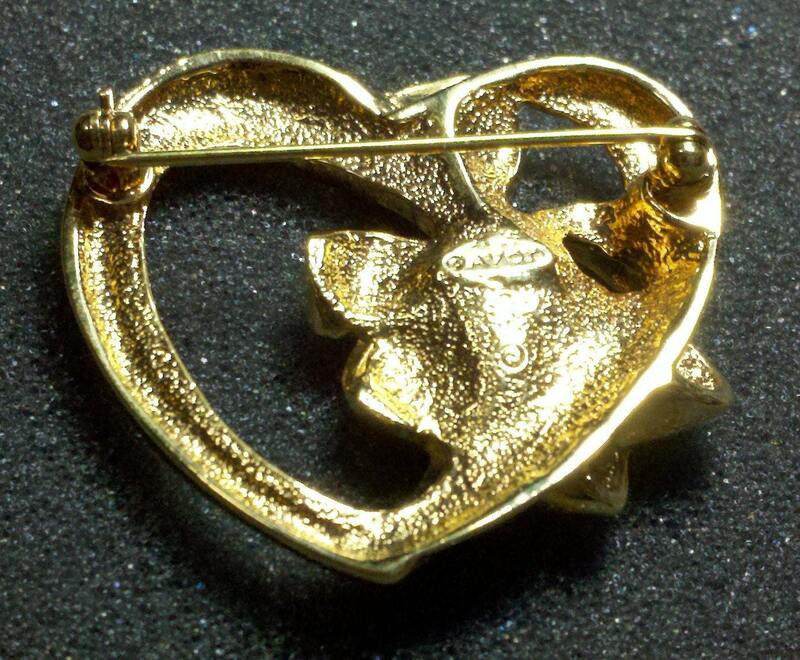 A wonderful way to share your love or show your love. Measuring about 1 1/2" (approx. 4 cm) by 1 3/4"(4.5 cm) and is in very good condition.